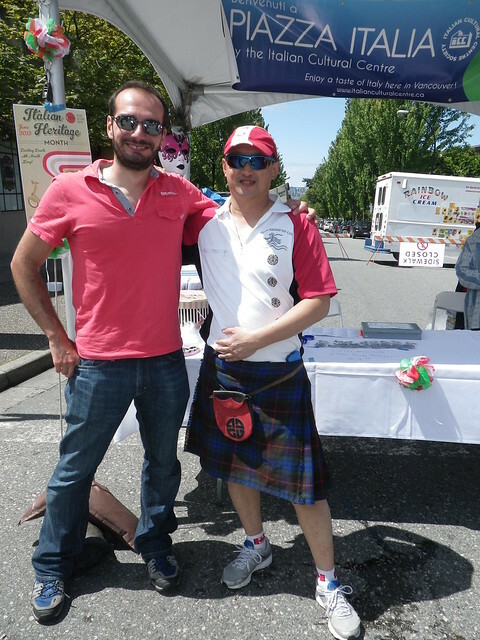 This entry was posted in Cultural Fusion, Kilts - wearing kilts, Kilts Night, Multicultural events on June 22, 2012 by admin. mix of poetry, music and food every January. 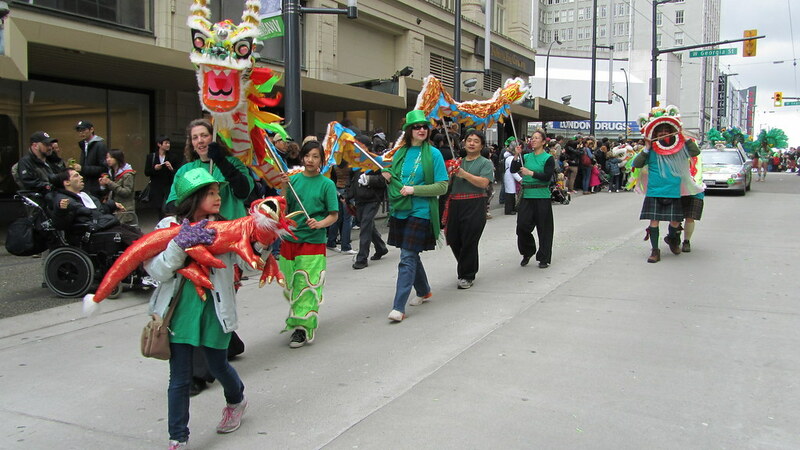 “I think it’s an interesting idea — we have these Chinese unions combined with St. Patrick’s Day,” said Nick Hsu. The 43-year-old was part of a group of family and friends who travelled up from Seattle to parade. 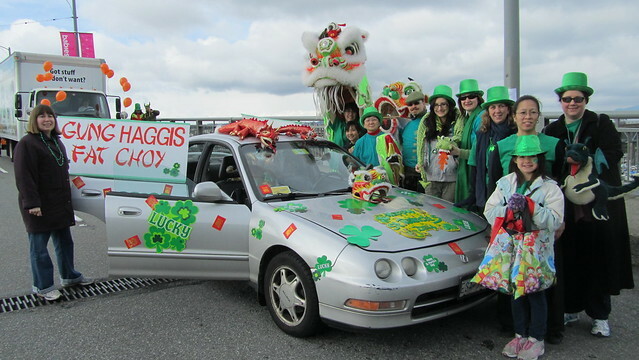 It was one of the best entries yet for the Gung Haggis Fat Choy troupe in the annual St. Patrick’s Day Parade… Past years have seen a large Taiwanese dragon boat as a parade float. But for 2012… we had 2 Chinese Lion dancers + 1 five-person parade dragon + walkers holding 5 more dragon hand puppets to help celebrate the Year of the Dragon.Paddlers from the Gung Haggis Fat Choy dragon boat team in Vancouver were joined by martial artists friends from Seattle. In Seattle, the 2012 Gung Haggis Fat Choy Seattle dinner was a benefit for Belltown Martial Arts Club, which have participated in the Seattle multicultural dinner for most of the past six years. The Vancouver Gung Haggis Fat Choy Dinner celebrated it’s 15th dinner in 20012, and the dragon boat team has been paddling since 2002. 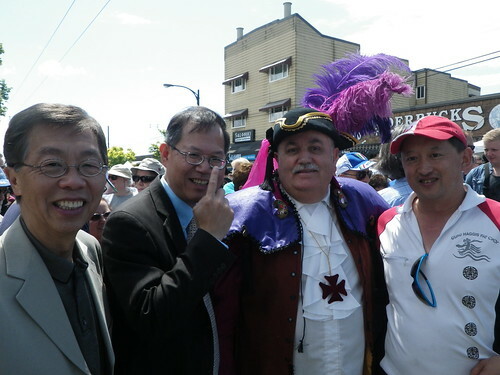 For 2012, I brought some of my dragon boat hand puppets from home, as I did for the Chinatown Lunar New Year Parade, when I had walked with the Dr. Sun Yat Sen Classical Chinese Gardens. We interacted with many of the children watching the parade, who were delighted to see the plushy dragon toys! We encouraged them to “pet the dragon’s head for good luck”, which many children including adults such as CelticFest chair Joanna Hickey did. Decorating the car, and everybody wears a necklace with green hats optional! What a great group of people! We were entry #73, and we decorated the car from the middle of Granville St. Bridge – then moved onto the Howe St. onramp, as the parade filed into order starting at Drake. St. 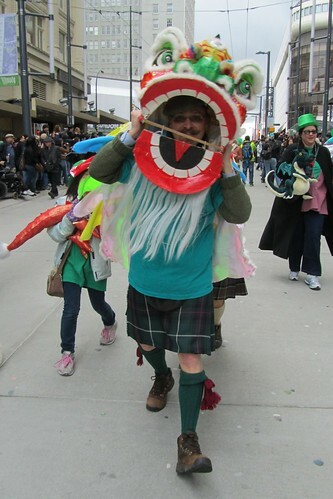 This entry was posted in Asian Canadian Cultural Events, Cultural Fusion, Kilts - wearing kilts, Main Page, Multicultural events, Scottish, Gaelic, Irish Celtic events and stories, St. Patrick's Day Parade and CelticFest, Todd Wong, Vancouver Area Adventures on March 20, 2012 by Todd. said they were delicious, they even had seconds! We did two segments. The first was cooking. I heated up some fried rice, and added haggis. Meanwhile, both Sophie and Steve tried the haggis wonton and haggis shu-mei that had been pre-prepared by the Float Restaurant the night before. For the second segment, Allan played Scotland the Brave on his bagpipes, then I performed the first verse of Robbie Burns' immortal poem – The Address to the Haggis. We bantered a bit about how our event makes Chinese New Year safe for Scottish-Canadians, and makes Robbie Burns Day and haggis safe for Chinese-Canadians. Sophie ate the spicy jellyfish, but Steve politely declined. We also talked about how we have set Robbie Burns lyrics to a Johnny Cash song and Allan lets me play my accordion in his celtic ceilidh group, The Black Bear Rebesl. Sophie said she loved all the fusion and fun of our event. 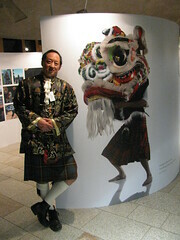 This entry was posted in 2012 Gung Haggis Fat Choy Dinner, Asian Canadian Cultural Events, Bagpipes, Cultural Fusion, Gung Haggis Fat Choy dinner, Kilts - wearing kilts, Main Page, Multicultural events, Robbie Burns Day, Robert Burns & Burns poetry, Scottish, Gaelic, Irish Celtic events and stories, Todd Wong on January 20, 2012 by Todd. January 25th, 2012, Burns Night. with the Scottish Saltire flag in the middle of the picture…. Every now and then, I get emails or invitations for Scotland… check this out! hope you'll be able to support. Japan, China and of course Canada. It would be great fun to get you and you fellow Burn's devotees to participate in this exciting project. Vancouver a few years ago…. seeing Mr Toddish McWong and his chums flying the saltire once again. The images can't be from an archive-they have to be new images, one a day and posted through the uploader. Take a picture like this with the Saltire in the middle of the picture! 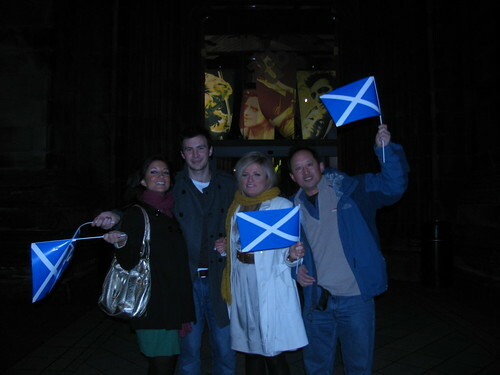 But while this picture was taken on St. Andrew's Day Eve for Homecoming Year Scotland in 2009. You can't use archival pictures. People around the world will collaborate this winter to produce a social media movie and celebrate Scotland's global community/ spirit/ reach/ influence. 'Scotland the World Over' invites everyone to take part and photograph a Saltire wherever they may be and upload the image to www.blipfoto.com/theworldover . Scots and Scots at heart will build a film, one frame at a time, by simply uploading pictures with a Saltire centred in the frame. What surrounds the Saltire in the rest of the image is entirely up to the participant. The finished film will then be premiered worldwide on Burns Night 2012 (January 25). The initiative is hosted by BAFTA Award-winning life sharing social networking site www.blipfoto.com – which shares over 1.5 million images from over 170 countries, each representing a single day in someone's life – in partnership with the Scottish Government. ‘Scotland the World Over’ was launched on Tuesday 29th November by Cabinet Secretary for Education Michael Russell. “I'd encourage as many people as possible to get involved, whether they're here at home or abroad. We welcome anyone across the world with an interest in Scotland to take part. I'm now looking forward to Burns Night with even more excitement and to seeing the wide variety of iconic images we're no doubt set to capture''. Joe Tree, founder and CEO of Blipfoto, said: “Blipfoto is a truly global community, but we're very proud of our Scottish roots. There's an obvious parallel between the way Blipfoto reaches out and touches people's lives around the world and the positive global influence Scotland has long enjoyed”. “We share a real outward-looking spirit, so we're delighted to launch such an exciting event and I'm really looking forward to the big reveal on Burns night next year”. The name for Scotland The World Over was inspired but the final line of the Robert Burns poem A Man's a Man for A' That: “That Man to Man, the world o'er, Shall brothers be for a' that. The initiative is not just for Scots or those living in Scotland. People from as many different countries and cultures are encouraged to have a go. This entry was posted in Bagpipes, Kilts - wearing kilts, Main Page, Robbie Burns Day, Scotland on January 12, 2012 by Todd. I was in Edinburgh, Scotland for Homecoming Finale on November 30, 2009 – now two years ago. Since then, I have lots lots more about both Scottish and Chinese New Year traditions. 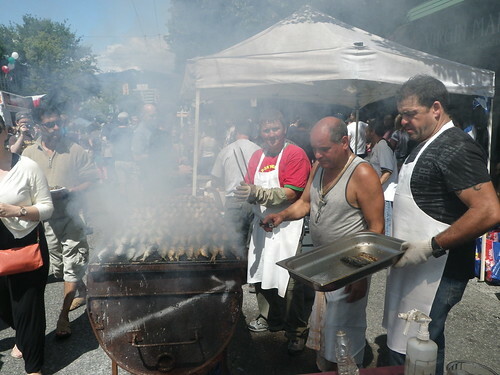 Right now I am in Vernon BC, while planning the 2012 Gung Haggis Fat Choy Robbie Burns Chinese New Year event for January 22nd 2012, as well as a smaller dinner for Victoria on January 28th. There will also be large dinner in Seattle organized by my friend Bill McFadden with the Seattle Caledonian and St. Andrew's Society. Right now. I am listening to BBC Radio Scotland through the internet, as I have done many times over the years. Midnight in Scotland is 4pm Pacific Standard Time, so this gives me plenty of time to relax and enjoy the New Year's Eve Day… as the sun starts to set over the ridge across Kalamalka Lake. It can be cold wearing kilts in winter, but here are Joe McDonald, Bruce Clark, Todd Wong and Xavier MacDonald at Dr. Sun Yat Sen Gardens for the Winter Solstice Lantern Festival. 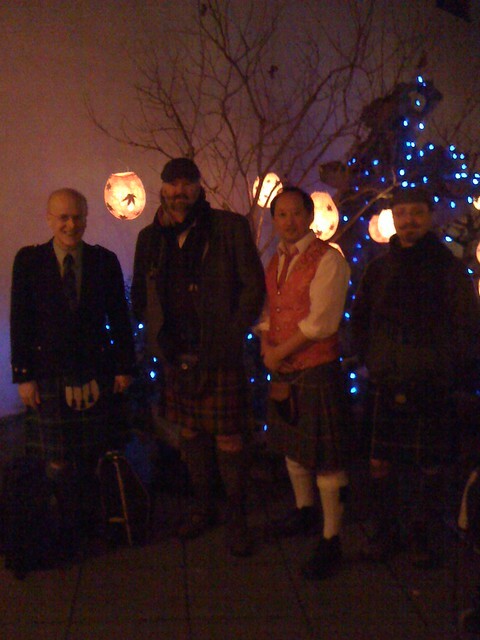 Joe, Xavier and myself with The Black Bear Rebels music ensemble helped to create a Winter Solstice Music Ceilidh on December 21st for the event. borders and we can freely share and partake of each other's cultures. a country we want to be proud of. University…. and media stories around the world! 1) Make lots of noise. 2) Pay off your debts. same but especially to ensure that they aren't paying anymore interest. 3) Have lots of good food. Eat lots and be merry. Both Scots and Chinese enjoy eating, hosting their friends and visiting their friends. parties last for days on end. with lots of other cultures too! This entry was posted in Cultural Fusion, Gung Haggis Fat Choy dinner, Joe McDonald, bagpipes, Kilts - wearing kilts, Main Page, Music, Todd Wong on December 31, 2011 by Todd. Every year, we invite new people to perform and co-host. For 2012, there is Chinese New Year theme emerging… because midnight will be the start of Chinese New Year's Day, Year of the Dragon!!! “The Round Up” replacing Bill Richardson. Fred Wah is the just announced Parliamentary Poet Laureate. He is winner of both the Governor's General Prize for Poetry (Diamond Grill) and BC Book Prize (Is A Door). Fred is a true Gung Haggis-Canadian with both Scottish and Chinese ancestry, all dominated by his Swedish mother. Dr. Jan Walls is beloved in both Chinese and Academic and other circles. He is a scholar of Chinese language, as well as a former cultural attache for the Canadian Embassy in Beijing. We love him because he performs the ancient tradition of Chinese clapper tales. We are daring Dr. Walls to set the poetry of Robert Burns to the rapping beat of Chinese bamboo clappers. What are you wearing? Kilts and tartans, as well as Chinese jackets and cheong-sam dresses are preferred. But our guests are dressed both formal and casual – be comfortable, be outrageous, be yourself. If you want to wear a Chinese jacket or top, paired with a kilt or mini-kilt… that is great! 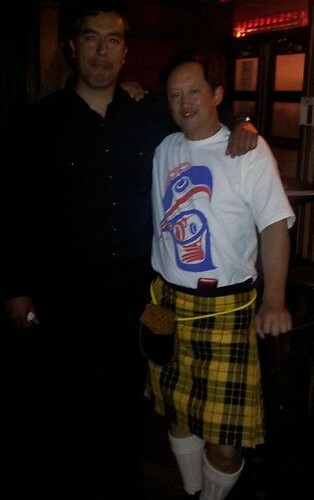 We might have a kilt fashion show for 2012… we might have a Chinese cheong-sam fashion show… we will see what happens. One year, one guest dressed up like a Chinese mandarin scholar. Another year, two guests dressed up as cowboys. give welcome to our guests. “Calling of the Clans” is done for sponors, and reserved table clans – if you would like to have your clan or group announced, please reserve a table of 10.
this organizations dedicated to multiculturalism and cultural harmony. to give a voice to ermerging writers. ACWW is the publisher of Ricepaper Magazine. be served. Haggis is mixed into the Pork Su-mei dumplings which we introduced a few years. This year we are adding vegetarian pan-fried turnip cake to represent “Neeps and Tatties.” Our signature dish is our deep-fried haggis won-tons served with a special sauce. 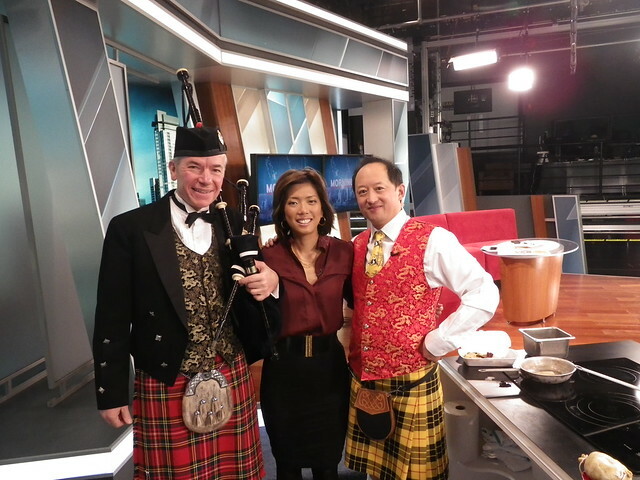 This entry was posted in 2012 Gung Haggis Fat Choy Dinner, Asian Canadian Cultural Events, Bagpipes, Chinatown Vancouver, Cultural Fusion, Food & Restaurants, Gung Haggis Fat Choy dinner, Kilts - wearing kilts, Kilts Night, Literary Events, Main Page, Multicultural events, Music, Robbie Burns Day, Scottish, Gaelic, Irish Celtic events and stories, Theatre, Upcoming Events, Vancouver Area Adventures on December 31, 2011 by Todd. Oh look – a teapot ad cup lantern set… There will be incredible lanterns everywhere… speaking of which… I wonder if I can get a “kilt lantern”. The18th Annual Winter Solstice Lantern Festival, in partnership with Secret Lantern Society. I am very excited to be part of the 18th Annual Winter Solstice Lantern Festival this year. Procession from Strathcona Community Centre to Dr. This entry was posted in Asian Canadian Cultural Events, Bagpipes, Chinatown Vancouver, Cultural Fusion, Kilts - wearing kilts, Kilts Night, Main Page, Multicultural events, Music, Scottish, Gaelic, Irish Celtic events and stories, Todd Wong, Upcoming Events on December 19, 2011 by Todd. Wear a kilt and go after the Scottish-Celtic ethnic vote! VFK / Todd Wong collection. first two Prime Ministers Sir John A. MacDonald Alexander Mackenzie. being born in British Guyana to a Scottish father and a Creole mother. Alexander Mackenzie and Simon Fraser. 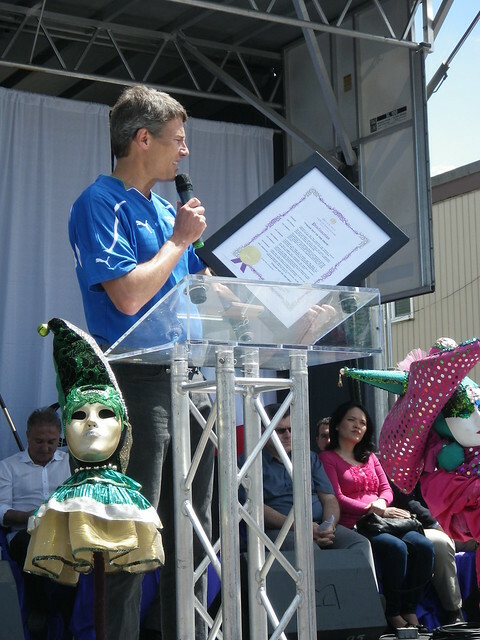 Vancouver Mayor Gregor Robertson wore a kilt to his inauguration in 2008. 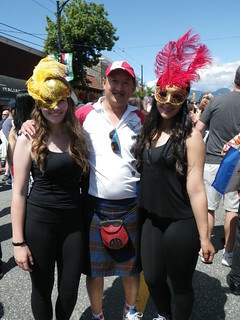 Coquitlam mayor Richard Stewart also regularly wears a kilt. 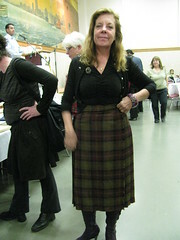 All the current City councilors have attended Gung Haggis Fat Choy dinners – Heather Deal and Raymond Louie have worn kilts to Gung Haggis dinners, but Tim Stevenson, Geoff Meggs, and Andrea Reimer haven't – Ellen Woodsworth, Kerry Jang and Suzanne Anton have worn Chinese styled fashion. work with commissioners from each of the other COPE and npa parties. primarily Green – like his party. picture Tim Stevenson is holding the Fraser Hunting Tartan backwards. as does councilor Kim Capri in the mini-kilted version. View Larger Image and Story – click here! the best photo opportunity for a city councilor in a kilt! proclamation and moved it at Vancouver City Hall on April 1st. with the Gung Haggis Fat Choy dragon boat team. This entry was posted in Kilts - wearing kilts, Main Page, politics and politicians on November 19, 2011 by Todd.